Created to address the unique challenges of MEP and structural engineering professionals, this interactive eBook shows you how Autodesk® BIM solutions in Autodesk® Building Design Suite can help you create better buildings, gain project insight, and collaborate more effectively in order to support more informed design and construction decisions. The City of Portland and Multnomah County, Oregon, have a vision: to eradicate homelessness within their jurisdictions by 2015 through providing more permanent housing and improving social support. One step toward this ambitious goal is the new Bud Clark Commons in Portland. Named for a popular former mayor, the facility provides a spectrum of services at one site, including health care, learning resources, counseling, and a barber shop, all to help homeless individuals transition to a more permanent living situation off the streets. The eight-story, 107,000-square-foot (9,940-square-meter), LEED Platinum-certified building, designed by Holst Architecture, is located in the city's blighted but revitalizing Old Town neighborhood, adjacent to downtown. 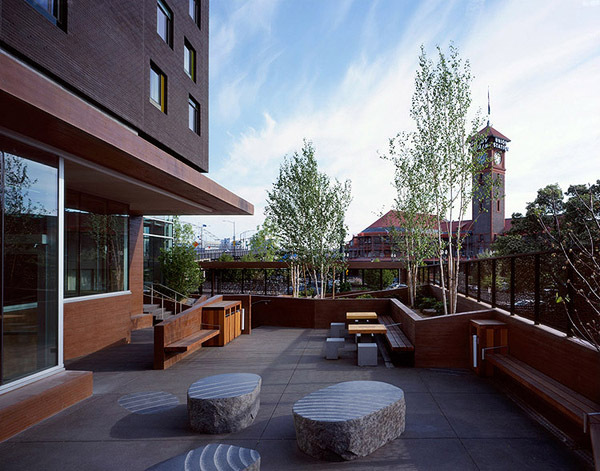 The Commons was one of several projects honored by the Portland and Seattle chapters of the American Institute of Architects in their separate 2011 awards programs. The premiated projects represent a cross section of buildings in the Pacific Northwest, ranging from private and intimate to public and vast. A walk-in day center on the north side of the Bud Clark Commons provides easy access to services, while an entry on the west side leads to the 90-bed men's temporary shelter. On the south side, a private entrance leads to the building's 130 studio apartments, located on the upper five floors, which provide permanent housing to very low-income men and women. The San Francisco-based magazine Architectural News ceased publication in 1891 after only three issues, so there is no way of knowing what the specific contents of a planned future issue, a translation of Gottfried Semper's Der Stil by Bernard Maybeck, might have been. There is no evidence that the translation was ever made, of what sections he would have chosen, or what Semper's influence on Maybeck's work might be. "If wood were to be used, then it should look like a wooden house. He abhorred shams. A wooden house should bring out all the character and virtue of wood — straight lines, wooden joinery, exposed rafters, and the wooden surface visible and left in its natural state." Much of Maybeck's work prior to 1904 confirms this. The Keeler House (1895) exposes every stick of its construction. The University of California Faculty Club at Berkeley (1902) is a bit more complex, showing only part of its structure. 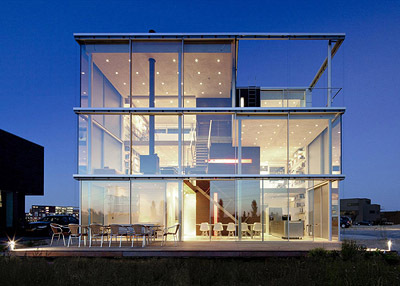 Dutch architect Hans van Heeswijk recently designed a new home for himself and his family. Located on the recently developed island of IJburg on the outskirts of Amsterdam, the Netherlands, the 270-square-meter (2,900-square-foot) Rieteiland House is a rectangular prism comprising three stories plus a basement. The street facade is clad in perforated aluminum panels, some of which can be opened to reveal the windows behind. In contrast, the waterfront facade is fully glazed, providing broad views of the landscape. The upper floor also includes a roof terrace.. Inside, openings in the floor slabs create double-height spaces in the large ground-floor dining area, second-floor living area, and third-floor master bedroom. 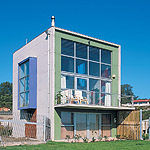 At the center of the plan, a core volume rises the full three-story height of the building. Wrapped in wenge wood for acoustics, the core contains storage closets, a bathroom on each floor, cables, and a dumbwaiter. Native Trails offers artisan-crafted, eco-conscious furnishings and fixtures for kitchen and bath design. Rooted in the traditions of centuries-old artisan craftsmanship, we take every opportunity to use recycled, reclaimed, or sustainably certified materials to bring eclectic sophistication to luxury living. 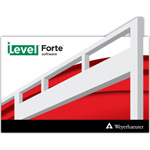 Forte(TM) software from Weyerhaeuser is a powerful tool for sizing wood framing members, including joists, headers, beams, wall studs, and columns. 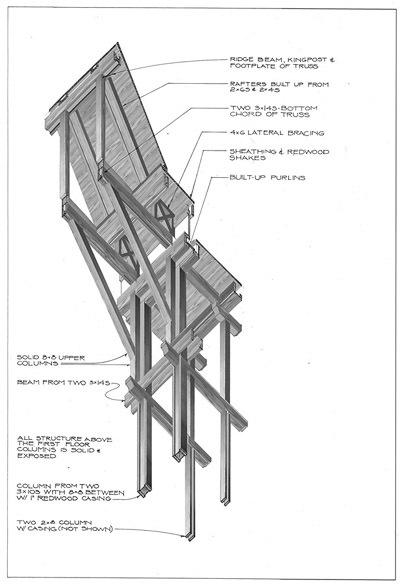 Users can size dimension lumber and engineered wood products, accounting for seismic and wind loads. 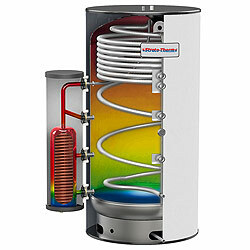 This easy-to-use software allows quick comparisons of alternatives. 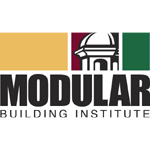 The Modular Building Institute has published a white paper citing a report by the National Research Council (NRC) that identifies modular construction as an underutilized resource for significantly advancing the competitiveness and efficiency of the U.S. construction industry in the next 20 years. See our comprehensive visual catalog of architectural products, powered by DesignGuide! "Thank you, for everything in architecture." Between 1505 and 1605, the replacement for the Old St. Peter's Basilica in Rome was built. 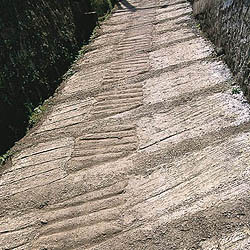 During that 100-year period, nearly every notable Roman architect was involved. 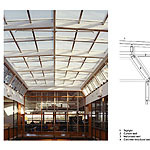 Which two famous architects were most influential? How many square meters in a hectare? Too easy? How many square feet in an acre? ""The deconstructed Palladian structure of this villa is brilliantly achieved on the ground and first floors ... where the means of vertical access are directly related to the narrow bays of the Palladian tartan grid of A-B1-A-B2-A. In this matrix the left-hand service stair is rotated 90 degrees and displaced out of its bay (B2). The gyration induced by this displacement initiates the asymmetrical configuration of the first floor, where the living volume "zigzags" between the kitchen situated on the left front and the inset terrace opening towards the garden at the right rear." 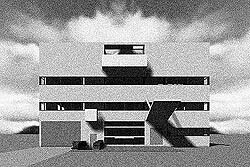 — Kenneth Frampton, Modern Architecture 1920-1945, p295. Advertise in our weekly newsletters to 70,000 double-opt-in readers! See hundreds of free images in our ten-year anniversary special issue. delivered 47 times a year to 300,000 monthly visitors. network with millions of monthly unique visitors.